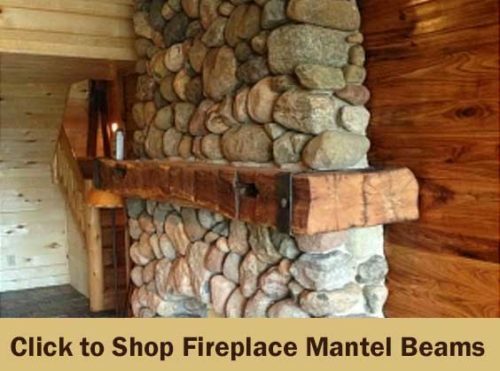 We have many finished mantels that ready-to-buy, but they do tend to sell fast. 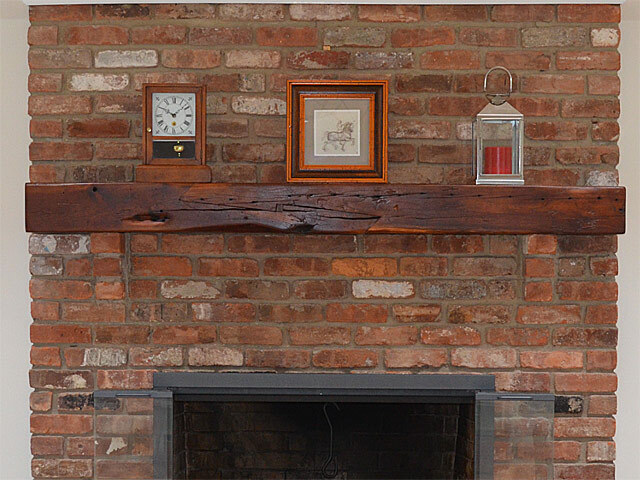 We organize our mantels into two different categories — Mantel Beams and Mantel Shelves. Most beams in a barn are more square-like — 6×6, 8×8, 10×10 kind of things. But we also make more shelf-like mantels as well. They tend to run about 3 to 5 inches thick (or high). We also do a lot of custom Ironwork on Mantels. We collaborate with some very talented blacksmiths that do the real, authentic, old-style hand hammered work. They can build metal straps, Christmas stocking rods, iron rings, rivets, and other nice adornments. There are some pretty wonderful, unique pieces in there. This is the real deal – fire, iron, coals, hammers, and sweat. What you see is not all that we have! More often than not, we finish up custom beams for our customers. We’ll take pictures of the exact beams in stock and then finish them up for your consideration. Send email to antiqueww@gmail.com or call us at 888-350-4790 with some general dimensions and some thoughts of your taste. We’ll wander the yard and find a few good options. While we wish you were here to pick one out yourself, this is the next best thing. It’s kind of fun to see what other people have done in the past. There’s a nice collection of images in the Customer Photos section. That may give you some inspiration. There are some pretty stunning fireplaces in there – all the way from classic stone fireplaces to modern tile ones. See if you can spy something that is close to what strikes a chord. Let’s step back for a moment. There’s lots of nice fireplace mantels out there, but our fireplace mantels are kind of incredible. These are a real piece of history. 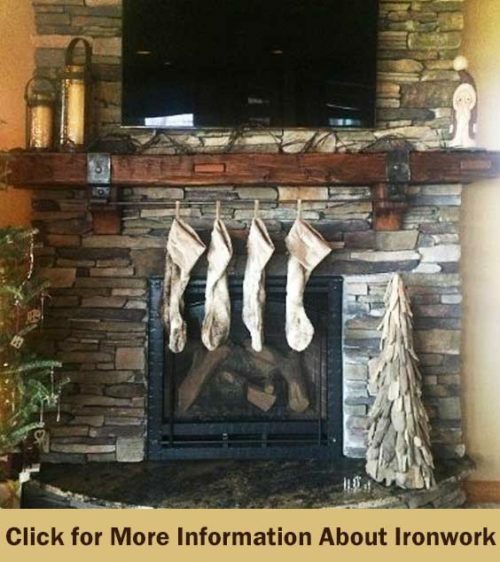 Some of our most popular fireplace mantels are authentic logs and timbers from original pioneer log cabins. In May of 1862, President Abraham Lincoln signed the Homestead Act. The act provided settlers with 160 acres of surveyed public land after payment of a filing fee and five years of continuous residence. When settler’s first arrived in the area, the quickest, easiest, cheapest structure to build was a small log cabin (or barn). 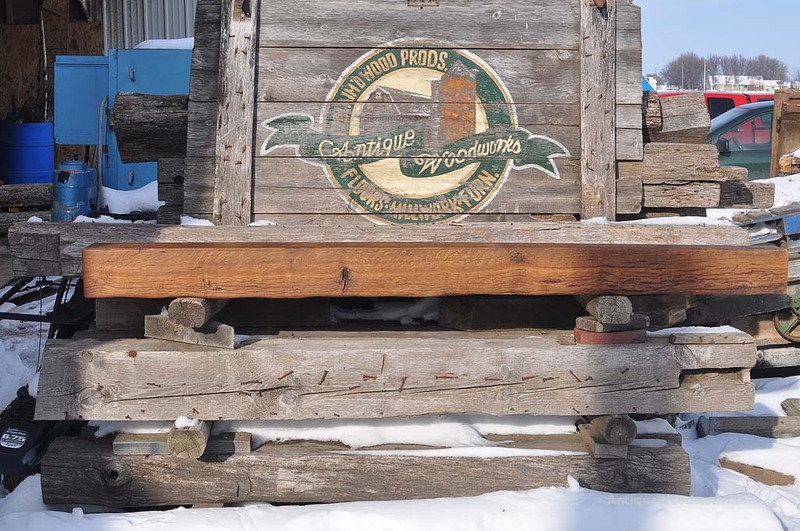 Once the farmer was established, log buildings were often updated or removed. In several cases, we have seen old logs that were from the original 1800s log cabin being re-used for big floor joists, also known as sleeper beams, in a 1900s barn. So even before we reclaim and reuse the old wood, it may already be on it’s second or third use. This is the real thing. When these log cabins were being used, German was the primary language of the area, some bison were still roaming the prairie, the 1862 Dakota Indian Conflict was still in memory, horses pulled the farm equipment, and newspapers still reported when any of the townspeople began the 50 mile wagon ride into Minneapolis. From history to a mantel in your home. 100+ year old ax marks. This is pretty cool.